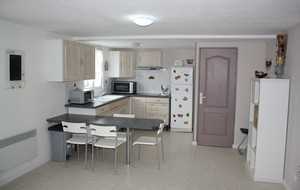 In a nice modern house full of charm, located 1 km from the sea (15 min walk). In the village of the smallest river in France. 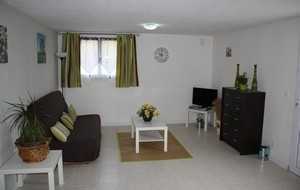 Rent cottage of 50 m2 with equipped kitchen including (hob, oven, refrigerator, and microwave). Lounge with TV. 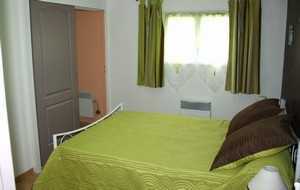 A room with bed for 2 people and a small room with single bed. Shower room with WC. Small terrace with garden and parking. Bed linen and baby equipment extra charge. 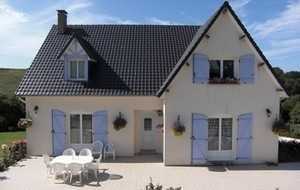 Prices: High season € 490 per week; weekend 3 nights € 230, weekend 2 nights € 160. Low season: 350 € per week; 170 € for 3 nights; 120 € for 2 nights.